The C. Thomas Company has worked at that perspective since 1974. Its list of impressive projects ranges from large residential to commercial and industrial. And the strength of its relationships with architects and owners is equally impressive. Insisting on plant material native to Illinois and collected material relocated on the site assures good plant health and long life. Use of specimen plant material, heavily branched, healthy, and with perfect symmetry, assures beauty. The C. Thomas Company has a reputation for insisting on both. Beginning as a young boy's fascination with landscaping, the C. Thomas Company has become a well respected firm of medium size and scope. In 1975 the C. Thomas Company was officially incorporated, and began its work as an independent landscape contractor and tree specialist. 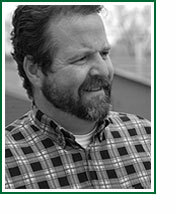 Chris J. Thomas (Owner) started working in the field of landscaping at an early age. When in high school he studied tree pruning and became an arborist licensed with the state of Illinois. In the mid-1970s he was heavily involved in landscape construction as a restoration contractor for Illinois Bell and Northern Illinois Gas on major Chicagoland projects. After high school he studied Horticulture at the College of Lake County. He continues his education at Oakton Community College, studying architecture. Antonio Briceno (Softscape Crew Chief) leads crews in grading, tree planting and other major aspects of projects. Mario Garcia (Hardscape Crew Chief) is responsible for the completion of many hardscape projects, including brick and bluestone walks and driveways. Manuel Casique (Maintenance Crew Chief) leads crews in all aspects of landscape maintenance. His primary responsibility is the coordination and overseeing of all maintenance operations. © 2003 C. Thomas Company, Inc. - www.cthomasco.com - All rights reserved.